Hi, and welcome to Certain Songs coverage of Neil Young, who has been making records that I love — or at least like — for a half-century. Seriously: 2016’s Peace Trail is a weirdly good record. I love Neil for multiple reasons: as a songwriter, he ranks with Bob Dylan and Paul Westerberg; as a guitar player, he quite literally exists in his own universe; he’s always been remarkably prolific and I appreciate that he’s a crank who walks his own path, no matter the circumstance. Plus, we share a birthday! In other words, it’s been an absolute pleasure to follow his career for the past 40 years — I came in at Rust Never Sleeps, and never bothered to leave, probably because I spent his lost decade exploring his first decade — and for the next month or so, I’m going to discuss the songs which have fueled that pleasure, so please let the affiliates know that we’re going long. Haters, we’ll see you sometime in July with Neko Case & New Order. Oh, and I can already tell that the Neil Young Archives are going to be an invaluable resource: pretty much any info I’m giving about when something is recorded and who is on it are coming from that. So, hello, “Mr. Soul,” you’re kind of a prelude, an overture that helps set things up. 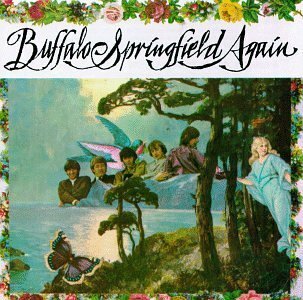 It’s possible — probable — that Larry played me the Buffalo Springfield records at some point in the late 1970s, but they never fully stuck. What did stick was Neil’s massive three-album compilation Decade, which I bought in 1979, after Rust Never Sleeps & Live Rust, and because I truly discovered it in that context, I’ve always thought of “Mr. Soul” as a Neil Young song, as opposed to a song by the Buffalo Sping ..bo … band. And in fact, Decade is why I’m bunching all of Neil’s career together — Buffalo Springfield and Crazy Horse & solo albums & CSNY all mashed together in chronological order — instead of breaking them up like I’ve done with other artists who’ve been in several bands. Because, like the man said: it’s all one song! And not only that: while “Mr. Soul” wasn’t the first Neil Young song — he had five on Buffalo Springfield — I’m going to make the argument that it was the first Neil Young song. For one thing, it’s the only one of his Buffalo Springfield songs that he regularly returns to — infamously on Trans, but it also showed up on 1993’s Unplugged and 1996’s Year of the Horse, and a quick perusal of YouTube confirms that he’s been playing it right into this decade, most recently at the end of April. Of course that performance could be excused not necessarily counting, as it was with Stephen Stills, who provides the cool backwardsy guitar leads which echoed the onstage epilepsy attack that spurred the writing of the song. (Not the last time where one of Neil’s illnesses spurred a great song.) But it still counts. “Mr. Soul” features riff and a beat borrowed from the thematically appropriate “(I Can’t Get No) Satisfaction,” (not the last time Neil would borrow a tune from The Rolling Stones), and a cool middle section of the long guitar jam where bassist Bruce Palmer quotes “I Can’t Turn You Loose” underneath Neil’s quick chordal solo interludes between Stills blinking lights leads. I don’t know why don’t you ask her? I’m going to quote a lot of lyrics as I work through Neil’s music, and “Mr. Soul” is a prime example why: while it’s a combo of Neil’s straighforwardness and Dylanesque obscurantism, there’s some terrific internal rhyming in every single verse (starting right off with “Hello, Mr. Soul“), which more than makes up for the fact that “Mr. Soul” doesn’t really have a chorus.